This morning as we packed up, we were happy to see that it was relatively warm outside. But no sun! We weren’t sure how crazy the trip was going to be today, because we were were going to get pretty close to Houston. We did hit some traffic, but we never had to slow down below our usual traveling speed. We were happy when we started heading out of the Houston area and the traffic started to die down. A little after 1 pm we rolled into Galveston. It was an easy 11 mile drive from the bridge to the RV park. 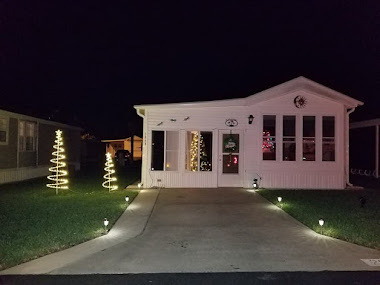 We are all set up and settled for our three week stay at Jamaica Beach RV Park. I’ve already taken quite a few pictures of the park on a short walk we took over to the beach, but I think this blog entry is already pretty picture intensive. So I’ll post some more pictures of the campground tomorrow. Hope our trip into Houston next week goes as smoothly as yours did, hate big cities but we do what we have to do. Love those uneventful travel days. We liked Galveston too. If you get a chance, the Kemah boardwalk isn't too far away.